Website optimization (aka, conversion rate optimization) is a scientific approach to improving the performance of your website. Ideally, any potential customer who visits your site will like what they see and do something (call you, submit a lead form, sign up for a newsletter, etc). These actions are called “conversions” and your “conversion rate” is the percentage of your visitors that actually do what you want them to do. As you can probably imagine, the better your website meets people’s needs, the more likely they are to convert. So, if you can optimize your website, you can get more value out of the traffic you are already driving to your website! In this article, we’re going to talk about what website optimization is, what it can do for your business and how to get started. To put it simply, website optimization is all about improving your user experience so that people will be more likely to convert on your website. Many businesses try to optimize their user experience by completely redesigning their website from time-to-time, but let’s face it, no matter how well you know your target audience, people are unpredictable. In other words, if you try to optimize your website without good data, you might end up decreasing your conversion rate instead of increasing it. 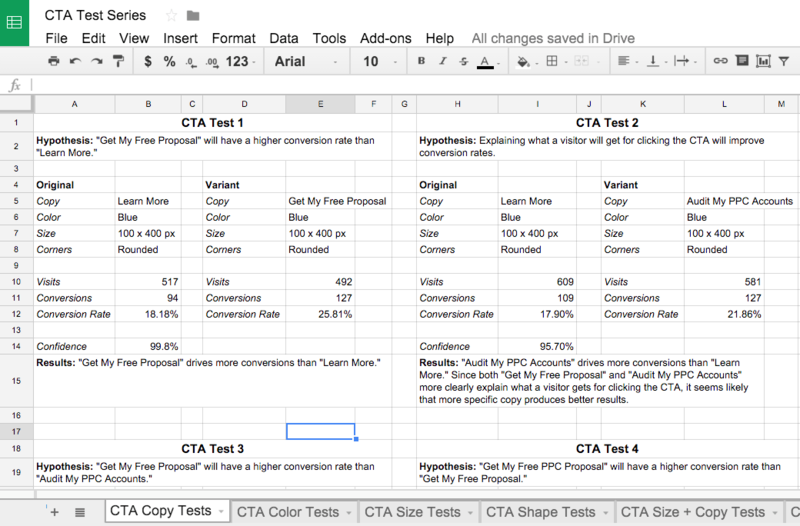 As a result, true website optimization is a scientific process. You come up with a hypothesis for a change you think will improve your conversion rate and test that hypothesis. If you’re right, you change to your new and improved website design. If you’re wrong, you stick with the original design. The best part of this website optimization process is that it teaches you about your target audience. You learn what they like and dislike, which allows you to come up with even better hypotheses and tests in the future. Over time, you may end up with a website that you never would have come up with on your own—but it’s a website that is perfect for your traffic. Do You Really Need to Optimize Your Website? If you’re wondering whether or not website optimization is worth the trouble, let me ask you this: If I told you that you could get twice as many conversions from your existing traffic, would you be excited? If the answer is yes, than you should definitely be optimizing your website. The fact of the matter is, pushing more traffic at a website that doesn’t work for your potential customers is a waste of money. Traffic is good. Traffic that converts is better. Whether you’re paying someone to do SEO for your site or paying for every click through an online advertising platform like AdWords, you pay to get people on your site. Once they are there, though, it’s up to you to get them to convert. So, if you can increase the percentage of people who visit your site and convert, you’re effectively increasing conversions without increasing cost. Who doesn’t want that? Odds are, if you’ve never done any website optimization before, everything on your website could probably use a tune-up. However, most businesses don’t have the time or traffic to optimize every little aspect of their website. Why do most people come to my site? What problem do they need to have solved? (this can be as simple as “they want more information” or as complex as “they need a comprehensive IT solution that addresses X, Y and Z issues”). What do I want people to do on my site? (you may want people to do different things on different pages or sections of your site). Once you know why people are on your site and what you want them to do, take a look at how a visitor gets from their “why” to your “what”. Is it a simple, straightforward process? What are alternative ways to approach things? How could you make the conversion process easier and more user friendly? Landing pages are the first pages people encounter on your site. They click on a link and end up on a landing page. Since your landing page is a new visitor’s first experience with your site, optimizing your landing page can have a huge effect on your conversion rate. Like your landing pages, your home page can make or break your conversion rate. However, in many cases, your home page has to do a lot more than most landing pages, so what works well on a landing page may not be right for your home page. If you’re an ecommerce business, a smooth checkout process is vital to the success of your business. After all, when potential customer that starts your checkout process and then bails, it’s like having money yanked out of your pocket. A little checkout process optimization can have big financial implications. Like your checkout process, any conversion point—from a form to a click-to-call button—is a critical part of your website. The point of your website is to get people to convert, so if the conversion process isn’t optimized, you’re just making things difficult for yourself. Hopefully, walking through this process has already given you some website optimization ideas, but if you’d like to narrow things down further, read this blog post about the “Launch Analysis” Disruptive uses to identify key testing opportunities. Another way to approach website optimization is to use a software tool to track user behavior on your site and use that data to identify testing opportunities. This direct, measurable approach is called “quantitative website optimization” because it uses quantity data (95% of visitors to this page bounce) to help you make decisions. Google Analytics. It’s free and you probably already have it set up on your site. If you aren’t including Google Analytics data in your testing decision-making process, you should be. Kissmetrics. Kissmetrics is great for understanding who is doing what on your website. With Kissmetrics, you can look at specific user or cohort data to see how people move through your site on their conversion journey. CrazyEgg. Want to see how people are interacting with a particular page? Heat mapping software like CrazyEgg gives you a visual representation of what people do on your pages. You can see how far people are scrolling down your page and even where they are clicking, which can be incredibly useful insights for important pages like your home page or landing pages. Quantifiable data helps take a lot of the guesswork out of website optimization. With a quantitative website optimization tool, you can see where many of the problems on your site are and come up with potential ways to fix things. Of course, knowing that a particular page has a 95% bounce rate doesn’t necessarily tell you why people are bouncing. No one sends you a message saying “Your headline was too salesy for me” before they hit the back button, so you often have to guess at what changes you need to make to fix a poor user experience. This is where qualitative website optimization tools can be handy. Qualitative website optimization tools attempt to “qualify” user behavior and get at the why behind their decisions. Qualaroo. The easiest way to learn what people did and didn’t like about their site experience is to ask them. Qualaroo automates this process by providing on-site surveys that users can complete before they leave the site. 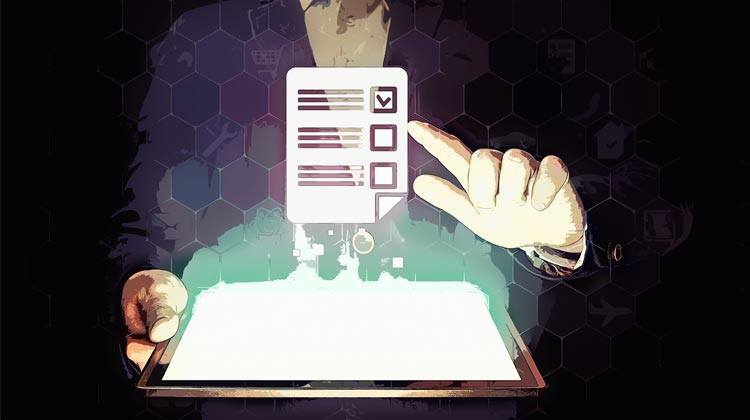 Of course, not everyone will fill out an on-site survey, so you should take these sorts of results with a grain of salt, but on-site surveys can give you incredibly helpful insights into your user experience. UserTesting.com. Another great way to learn about your site experience is to watch someone else try to navigate your website. UserTesting.com will send you recorded videos of people trying to do specific things on your site. In these videos, users talk through their thought process, so you can get a feel for what they are thinking as they try to interact with your site. However, these users won’t necessarily be part of your target audience, so their insights may not be particularly helpful if you are marketing to a very specific niche. Feng-GUI. Rather than using data from actual people, Feng-GUI attempts to predict how people will respond to your website using an algorithm based on data from thousands of eye tracking studies. Obviously, there are limitations to this approach, but Feng-GUI is a lot cheaper than paying for an actual eye-tracking study and can offer a lot of the same insights. Both quantitative and qualitative tools have their strengths and weaknesses. Quantitative data tells you what, while quantitative information tries to get at the why. Neither one gives the full picture on their own, which is why it’s often a good idea to try and use them together. To conduct a meaningful, scientific test on your site, you’ll probably want to use a website optimization tool. Most website optimization tools are online software services that split your traffic between different page or site designs and measure how people respond to each variant. Google Content Experiments. Google Content Experiments is actually a free tool inside of Google Analytics, so you really don’t have any excuse for not testing. One thing to keep in mind, however, is that GCE doesn’t give you real-time results, so it may not be a great option for everyone. Unbounce. If you only need to test a landing page, Unbounce is the way to go. It’s a powerful and easy-to-use system that allows you to quickly create and test a variety of landing pages. Optimizely. Optimizely is a more expensive option than Google Content Experiments, but it also has some extra features that provide additional insights into the results of your tests. Visual Website Optimizer. Visual Website Optimizer (VWO) is slightly cheaper than Optimizely and has a very intuitive interface, so it’s one of our favorite website optimization tessting tools at Disruptive Advertising. If you are just getting started with website optimization, I’d recommend trying Google Content Experiments or Unbounce first. While they don’t have all the bells and whistles of Optimizely or VWO, they are cheap and easy to implement, so they are a good way to try website testing out. Once you know which areas of your site you want to optimize and you’ve picked a website optimization testing tool, you’re ready to put together your testing strategy. A good website optimization strategy takes planning and documentation, but if you put in the work beforehand, your test(s) will be much more effective and useful. Every good marketing effort starts with a solid understanding of your target audience. One of the best ways to get to know your target audience is to create a detailed buyer persona. The better you know your audience, the easier it will be to come up with new designs and content that meet your target market’s needs. The key to successful testing is to figure out what your target audience wants and needs. Once you know that, you just need to figure out how give it to them. Remember, the point of website optimization is to get more people to do what you want them to do on your site. If you don’t have clear, measurable goals, you won’t really know if your test results are meaningful. What is my ultimate marketing goal? (if you answered, “to increase sales,” give yourself a gold star). How will my test help you to achieve your overall goal? (increase form submissions? purchases? email signups? phone calls?). Am I trying to increase conversion volume or conversion quality? If you really want to increase sales, it might not make sense to run a test that is focused on getting people to watch your “about us” video (unless that’s a key part of your marketing funnel). A good testing strategy is designed to help you achieve your real goals, so it’s important to clarify your goals before you start running tests. The offer is wrong (your audience is looking for something specific and you aren’t giving it to them). The next step is unclear (your call-to-action may be hard to find, ambiguous or uninteresting). You have a copy-offer mismatch (if your audience is looking for a simple solution and ends up on a complex page, that will create friction and confusion—or, if your offer is complicated and you don’t address an important point, that can create unnecessary doubt). You aren’t evoking the right emotion (if you don’t stir the right emotion in your audience, they won’t feel like you are a good fit for their needs). Your content is confusing (poorly written, hard-to-read content or awkwardly designed pages can make your page too difficult to bother with). Your page doesn’t seem trustworthy (people are very wary of marketing, so over the top claims, poor design, lack of social signals or trust seals can seriously damage your conversion rate. You have the wrong traffic (even the most effective site won’t convert uninterested traffic—this isn’t exactly a website optimization problem, but improving your traffic quality will dramatically improve the effectiveness of your tests). This is not a comprehensive list by any means, but it should help you come up with hypotheses to test in your website optimization plan. The last step is to actually run your tests, document your results and then use what you learned to create new hypotheses and tests. Your documentation can be as simple or as complex as you want, but it is critical to document what you were testing and what your results taught you. If you don’t document and learn, why bother with website optimization? However, if you are documenting your results, you can use what you learn to greatly improve your conversion rate over time. When you get right down to it, website optimization boils down to one simple principle: when your potential customers get what they want, you get what you want. The trick is figuring out how to make giving you what you want easy for your potential customers. Fortunately, if you know how to take a hard look at your site, it’s fairly easy to come up with and test variations on your website design and content. Those tests can help you fix problem areas and give visitors to your site the ideal experience. Incidentally, if you’d like help identifying testing opportunities or want someone to help you optimize your website, let me know here or in the comments. I’d love to help! How do you feel about website optimization? Have you tried it? What was your experience like? Any tips you’d like to share? Leave your thoughts in the comments. Over his career, Aden has developed and marketed millions of dollars of successful products. He lays awake at nights figuring out new marketing tactics and is constantly upping Disruptive's internal marketing game. He loves to write, dance and destroy computer monitors in full medieval armor. Your article provides very nice info thanks for sharing it with everybody! I am convinced that this article is relevant for any business, in order to help them become successful. We actually wrote a similar article on the subject. I recommend you read it: Ideas are updated and slightly different from yours! I really appreciate the author on this subject. It has made me to understand DM more than I ever did. It simplifies iand analyse it better. It helps me to complete my coursework successfull and I have referenced the author. All I have to day to the author is: Thank you Sir. Great article. Another thing to take into consideration is also the friction score on your website: When a user experiences frustration or trouble on your site. This can be measured and acted upon. Mouseflow actually released a feature helping you with this – https://mouseflow.com/blog/2018/08/introducing-friction-score-on-recordings/ and you can test this out for free. I am happy to find this website, you have posted useful information which i like reading. Keep writing more articles they are really a great source of information. Thanks for sharing this amazing blog. This blog is very useful and informative really increase my knowledge.